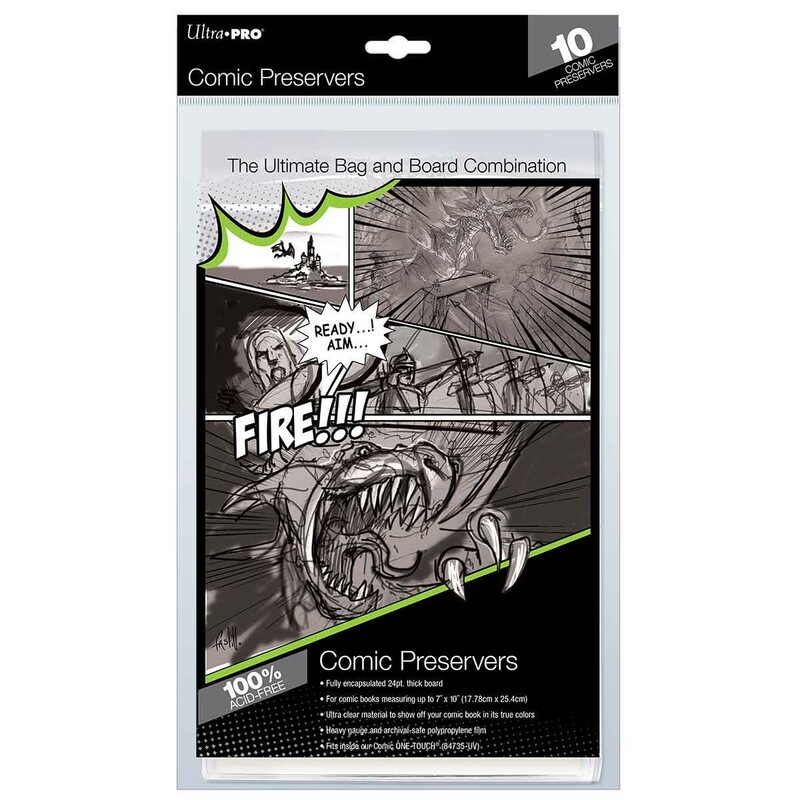 The Comic Preserver features heavy gauge, archival-safe material that encapsulates the board completely. You will never have worry about the board touching your comic! 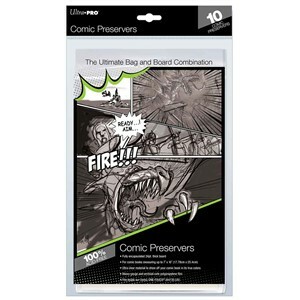 Ultra clear bag holds up to 7" x 10" (17.78cm x 24.4cm) and features flap closure with resealable strip. Thick 24pt board sealed inside of sleeve to prevent bending of contents. Sold in packs of 10.